HomeF.A.Q: Why do I need to ask for forgiveness if God has already forgiven me? F.A.Q: Why do I need to ask for forgiveness if God has already forgiven me? “There is now no condemnation for those who are in Christ Jesus”. “All this is from God, who reconciled us to himself through Christ…not counting people’s sins against them”. 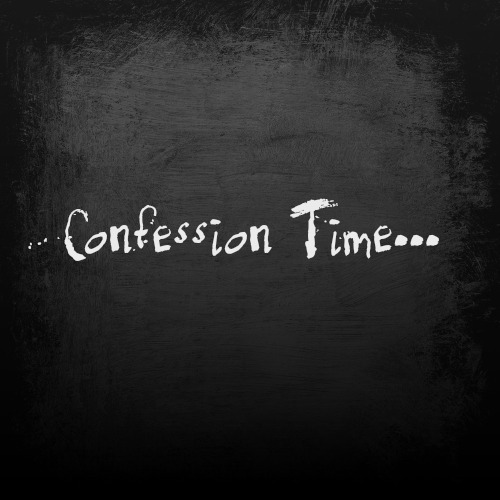 So if Jesus copped the punishment for a Christian’s past, present & future sin, deliberate & accidental sin, confessed & unconfessed sin, what is the point of confession? Consider the relationship between a father and his child. When the child disobeys his father, he doesn’t get kicked out of the family. The relationship stays intact. The child still belongs to the father. But the quality of their intimacy will be affected. Until the child apologizes to the father for his wrongdoing, there will be tension in their relationship. In the same way, the Bible teaches that when disobey our Father in Heaven, we don’t get kicked out of the God’s family. The eternal relationship stays intact. We still belong to our Heavenly Father. But the quality of our intimacy will be affected. Until we apologize to our Heavenly Father for our wrongdoing, there will be tension in our relationship. > “If I regard iniquity in my heart, the Lord will not hear me.” (Psalm 66:18). > “Your sins have hidden his face from you, so that he will not hear” (Isaiah 59:2). > “When you ask, you do not receive, because you ask with wrong motives” (James 4:3). The Bible tells us to “be filled with the Spirit” (Ephesians 5:18). To be filled with the Holy Spirit means to be controlled or empowered or driven by the Holy Spirit. This happens when we confess our sin to God, acknowledging that we have been trying to control our own lives, and asking Him to take over. After failing to confess for a prolonged period of time, David eventually comes to realize how personally destructive unconfessed sin can be. In Psalm 32:3-5 he says: “When I kept silent, my bones wasted away through my groaning all day long. For day and night your hand was heavy on me; my strength was sapped as in the heat of summer. Then I acknowledged my sin to you and did not cover up my iniquity. I said, ‘I will confess my transgressions to the Lord'”. FAQ: If Jesus died for everyone, why doesn’t everyone go to heaven? FAQ: Jesus teaches that there will be rewards in heaven. Doesn’t this contradict grace? FAQ: Why avoid sin and do good works if it doesn’t affect where we spend eternity? FAQ: What if a person claims to be a Christian but is not living like a Christian?